High-impact design for a low-impact environmental technology . 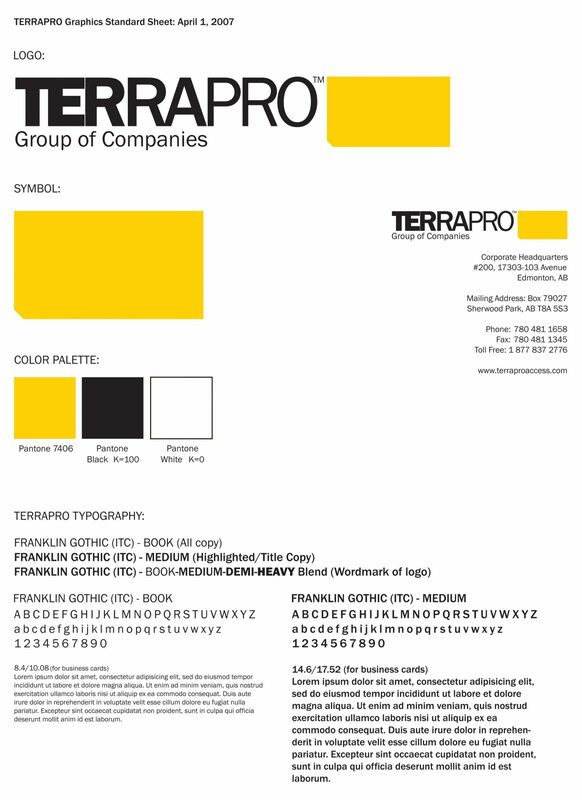 Urban Jungle took a graphical approach to Terrapro‘s identity, drawing from the colour and shape of their flagship product—the synthetic rig mat. We also incorporated the geo-industry’s widely recognized topographical map. 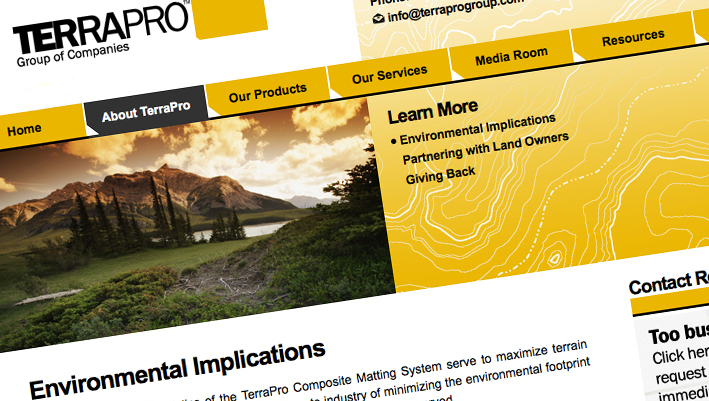 The cropped corner of the rig mat’s design, was integrated through all aspects of Terrapro’s design system, including their letterhead and business cards and website. 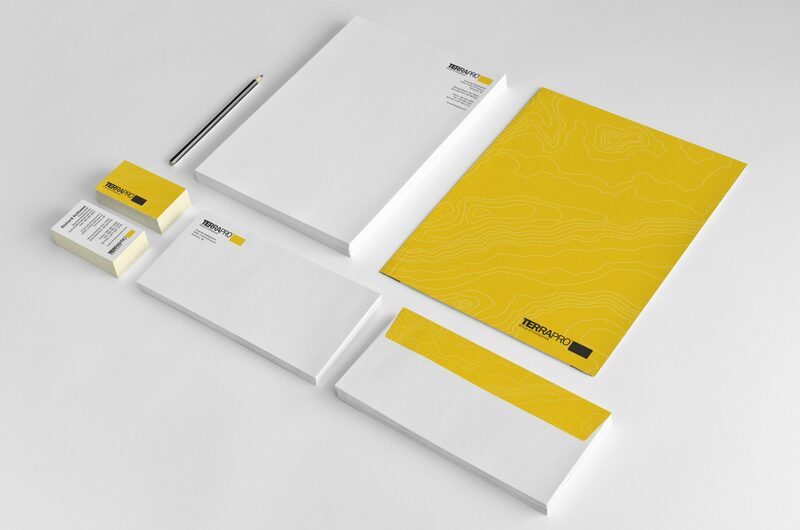 Their new corporate identity was designed with versatility in mind, appearing on tradeshow displays, print materials, promotional wares, corporate website, and communications.